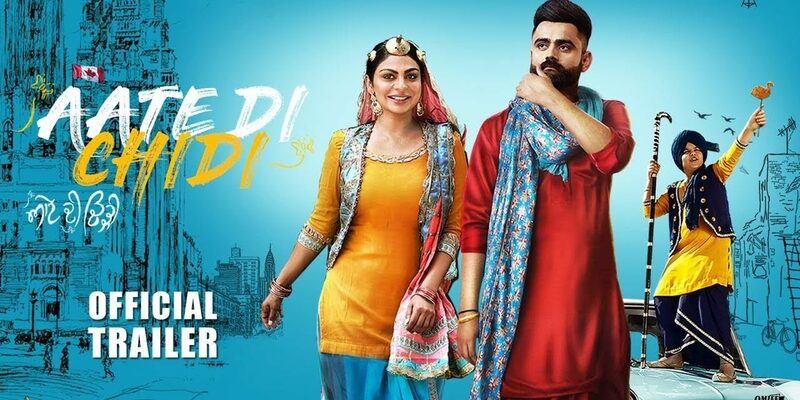 A new Punjabi movie Aate Di Chidi’s trailer is out. The movie’s main leads are Neeru Bajwa & Amrit Maan. The other cast of the movie includes Sardar Sohi, Nirmal Rishi, Gurpreet Ghuggi, B.N. Sharma, Karamjit Anmol, Nisha Bano, Preeto Sawhney, Anmol Verma, Harby Sangha & many more. Special appearance Ammy Virk & Rubina Bajwa. Sardar Sohi is looking very apt for his role. Neeru Bajwa’s acting is also up to the mark. From the trailer, it seems that Sardar Sohi is missing Punjab. He is also fed up eating burgers etc. & missing his Punjabi food. Sardar Sohi wants that his grandson should speak Punjabi at home but Neeru thinks that because he has been brought up here & would live here in Canada so he should speak English. Sardar Sohi’s grandson wants to hear ‘Aate Di Chidi’ story from him. 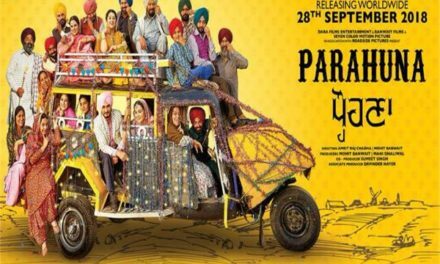 By watching the trailer we get to know that Neeru has set a bet with Sardar Sohi about Punjab’s current condition whether it is the old Punjab or it has changed by staying there for a month. If Punjab’s condition is the same Neeru says she will have to do whatever Sardar Sohi says or vice versa. It is shown that in countries like Canada it is difficult to pay installments for a car & here in Punjab we see a calf tied to a car. This also seems to be a comedy movie. 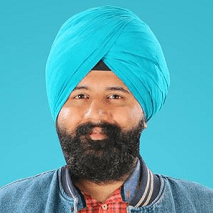 Amrit Maan, from his talks, is also missing Punjab as he had so much fun like riding a horse, a jeep or a motorcycle & here in Canada he has to make chappati. Amrit Maan is shown unemployed in this movie. Ghuggi’s wife, Nisha Bano is taunting him about his work of playing band. Have you watched the trailer of Aate Di Chidi movie? Not yet, then you are surely missing some comedy family madness. Check out the trailer of the film and let us know how you like it. We assure you that you will laugh out loud after watching the Aate Di Chidi trailer. 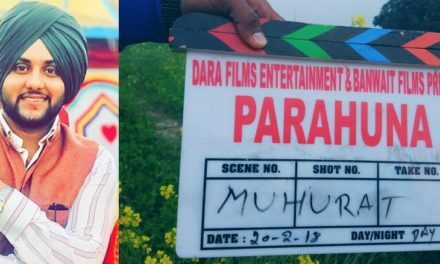 The movie releases on Dusshera, 19th October 2018. The movie is directed by Harry Bhatti. Harry Bhatti has also directed Rabb Da Radio & Sardar Mohammad. The movie is produced by Charanjit Singh Walia & Tegbir Singh. The movie is co-produced by GRS Chhina. It is written by Raju Verma. The music has been given by Jaidev Kumar, DJ Flow, Deep Jandu, Intense, The Boss & Rajinder Singh. The editor of the movie is Bharat S Rawat. Stay tuned to Att Manoranjan for more information on Aate Di Chi movie.